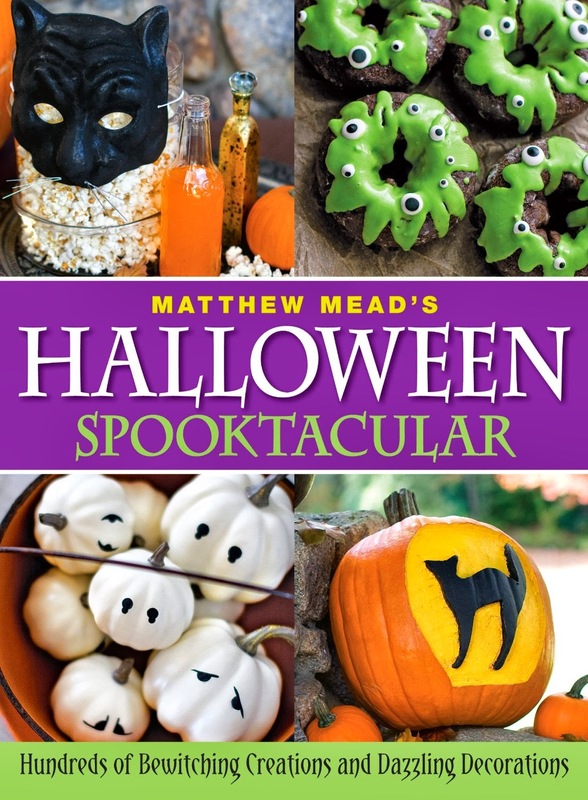 Matthew Mead’s Halloween Spooktacular is one of the best Halloween entertaining books of 2013. At 256 full-color pages, it is also one of the largest. Silly, spooky, sophisticated, kitschy, country, vintage, charming, funny, ghastly, grotesque there is something for every taste, for every kid and every adult. This is a really fun and must-have book for Halloween fans, crafters and bakers. My favorite chapters are the “Remains of the Day”(skeleton inspired) featuring some white chocolate dipped candied apple skulls, and the “Poltergeist Party” (vintage graveyard setting!) featuring a ghostly lantern with old spooky photographs (included in the downloadable templates). It’s such a shame this didn’t get a hardcover pressing since it will be referenced for many seasons to come. The book is available at Amazon and there’s a shorter “market checkstand” version available at your favorite grocery store. Visit Matthew Mead’s site for more information.